Channel 3’s popular “20 Towns in 20 Days” returns this spring and this year our viewers are choosing which town we visit. 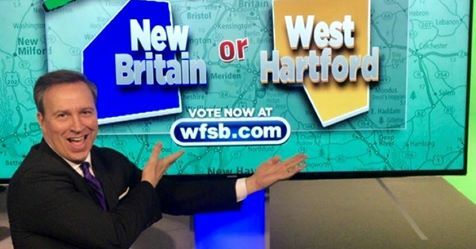 Each day we put up a choice of two towns to vote on, and my assignment was either New Britain or West Hartford. The vote was a nail biter, and the winner is…West Hartford, by a 12 vote margin! Where should I visit in West Hartford? Favorite restaurant? Place no one knows about? My visit to West Hartford will be in May.